﻿ Getting A .net Framework 3.5 Error when trying to install? If you get a error when trying to .NET Framwork 3.5 you are not alone. Here is my solutions to fix this problem. This solution work for Windows 10 Enterprise and Professional, if you have Home edition see solution 2. Step 1: Press the Windows key and the R key at the same time. Step 3: Under Computer Configuration – Administrative Templates – System. Step 4: Double click to open this setting. 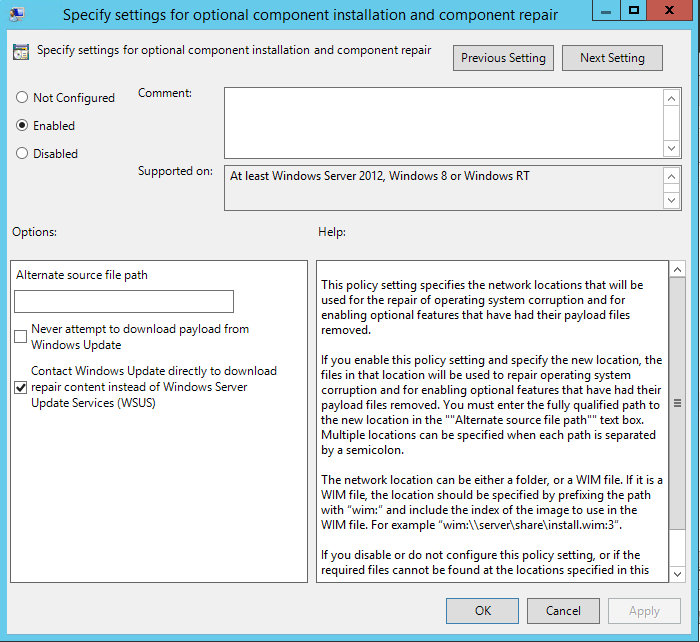 Tick “Enabled” and “Contact Windows Update directly to download repair content instead pf Windows Server Update Services (WSUS)”. Step 5: Go to Control Panel – Programs – Programs and Features and click on “Turn Windows features on or off”. Step 6: Tick “.NET Framework 3.5” and click OK, the installation should now go trough. This solution requires you to have a DVD or ISO image of your version of Windows. Step 1: Insert the DVD or mount your Windows ISO file. Step 2: Open CMD and run as Administrator. Step 3: Type this into your CMD window and remember to replace DRIVE with your own driver letter (usually D). 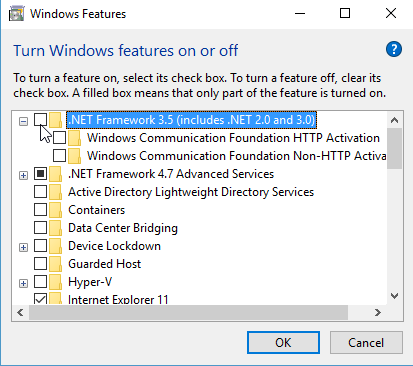 Step 4: Execute the command and wait for .NET Framwork 3.5 to be installed without any errors!